All Purpose Cleaner vs. Weiman Stainless Steel Wipes. You upgraded your appliances - why not upgrade the way you clean them? Make the upgrade to Weiman stainless steel cleaners. Weiman is specially formulated to resist finger prints, so your appliances shine and so do you! Specially formulated to effectively clean your stainless steel surfaces and resist finger prints, consider making the upgrade to Weiman stainless steel cleaners in your kitchen. 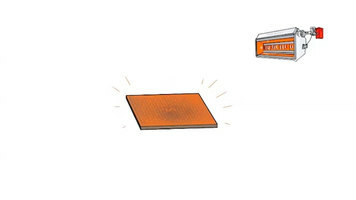 You've likely heard about infrared heating systems, but do you know how they work and how you can benefit? Learn more about these energy-efficient systems from Schwank - the industry leader and manufacturer of infrared heating technology. 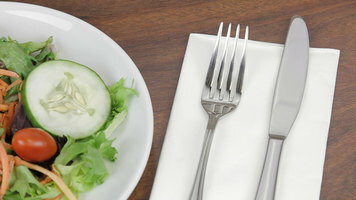 Add an upscale feel to your restaurant or catered event by setting tables with Choice Touchstone linen-feel napkins! Coming in a range of folds, these napkins offer a super-soft feel and are more absorbent than traditional paper napkins. 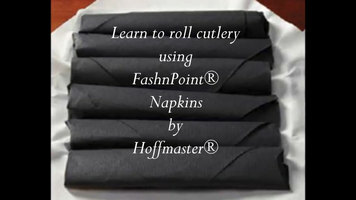 Learn how to roll cutlery in FlashnPoint napkins with this simple, step-by-step video by Hoffmaster!